Our company specializes in making the exterior of townhouses, condominiums, apartments, and single family residences both beautiful and weather protected. Working with the best architects and water-intrusion experts in the Northwest has given us knowledge and training to do first class work for you. 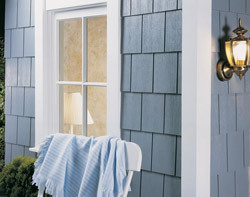 This includes siding, painting, new windows, and decks. Most of the projects we are involved in, also use our services to repair and or upgrade their interior walls and millwork. Our siding and painting crews are accustomed to working on small to large multi-family projects that are fully occupied. It is our company imperative that your job is done expeditiously; that means we will concentrate on quality and efficiency, while demonstrating total respect for our customers and their homes. We are a member of the Master Builders Association.